The Water Flow sensor measures the rate of a liquid flowing through it. 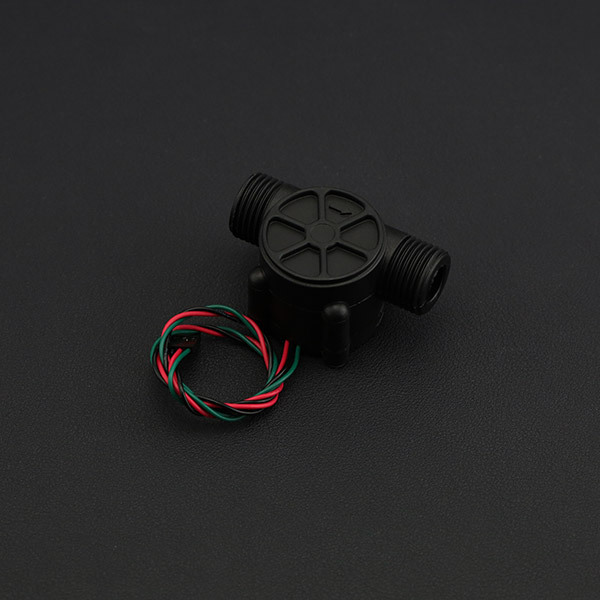 The YF-S201 water flow sensor consists of a plastic valve body, flow rotor and hall effect sensor. It is usually used at the inlet end to detect the amount of flow. 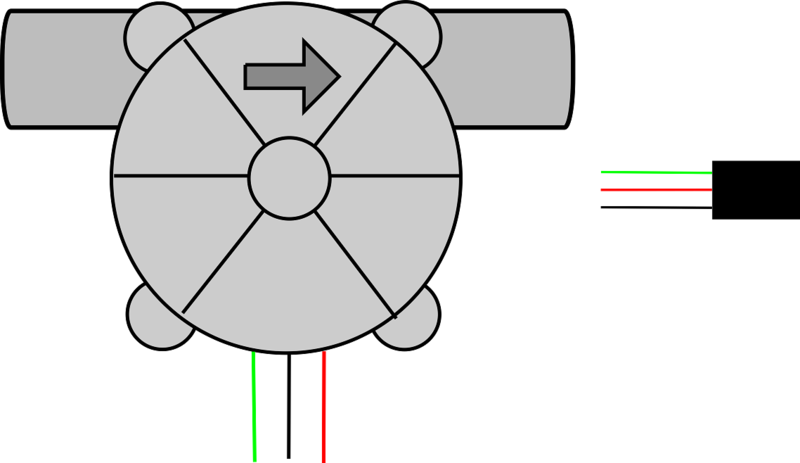 When liquid flows through the sensor, a magnetic rotor will rotate and the rate of rotation will vary with the rate of flow. 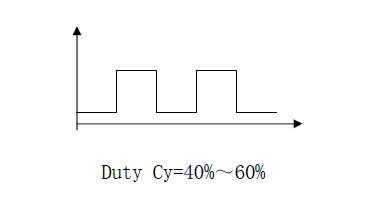 The hall effect sensor will then output a pulse width signal. Connect it to a arduino microcontroller and you can monitor multiple devices such as your coffee maker, sprinkler or anything else, and control the water flow rate to suit your needs! Get Gravity: Water Flow Sensor (1/2") For Arduino from DFRobot Store or DFRobot Distributor.